VFR enthusiasts were up in arms with the launch of the VFR1200 in 2010 - the '7th Generation VFR'. Honda had strayed too far from the nearly 30 year old formula that had been so successful and enjoyed a cult following the world wide. The 3rd-6th generation VFR's sold amazingly well in the EU where weekend-day rides are more like 300 mile twisty ribbon workouts rather than the boulevard cruising scene in the USA where status is determined on the magazine specs of your bike, the number of stickers you have plastered all over it, and how loud/short your exhaust is. The VFR is a quintessential formula of reasonable ergonomics, broad torque delivery across the the rev range, suspension compliant enough for all day riding and more than adequate for switchback duty, and intoxicating mechanical symphony. 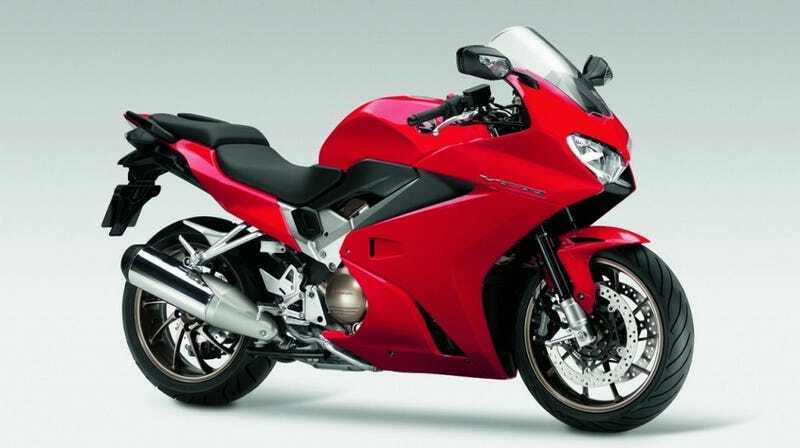 The 2nd-5th gen VFR's had gear driven cams, 90* V engine configuration, high compression, and aggressive cams. All of this sorcery results in one of the best sounding motorcycle powerplants in recent history. At idle or full chat, the VFR's exhaust note is distinctive as the relatively low idle (1200RPM) and high redline (north of 11,000RPM) define a wide rev range throughout which the ride is treated to mechanical symphony - especially if an aftermarket muffler is installed. I am glad to see that Honda realized that they couldn't shelve this incredibly successful platform. Kudos to them. Updates and photos from RideApart.